The Chris Brown Bomber Heart Jacket is second to none for the variety of expecting something great. It is so uniquely designed that it made us want to bring it forward for all of the fans of fashion and the singer. Place your order now for this outerwear. 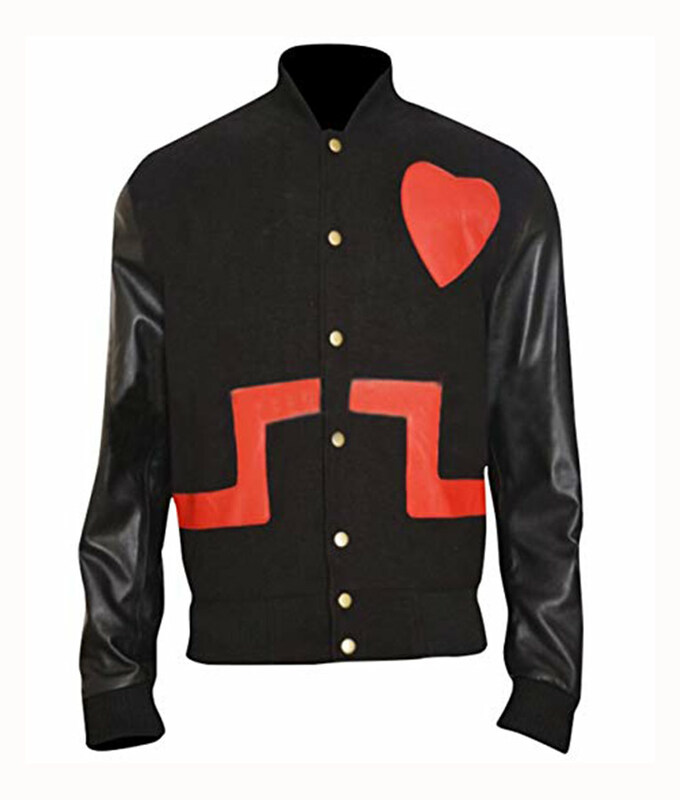 Chris Brown Black and Red Heart Bomber Jacket is the ideal outerwear for the two in one material lovers. 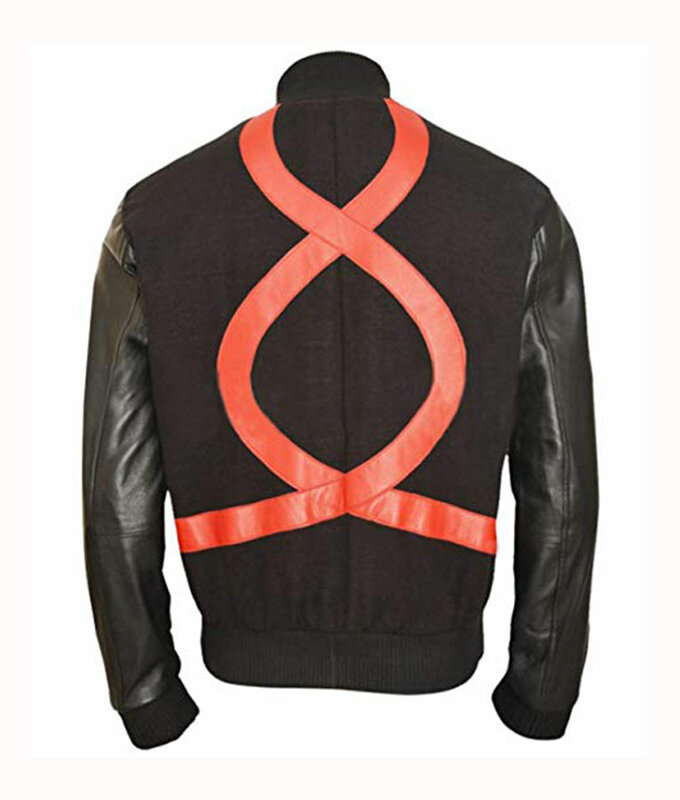 This has the body made from fleece while the sleeves are made from faux leather. There are pockets on the outside, button tab closure with rib knit collar, cuffs, and hemline. The heart and stripes detailing is done in red to make it an iconic wear for you.